Do You Want To Become The Guitar Player You Have Always Dreamed Of? Have you been struggling to play your favourite songs or guitar solos? Maybe you can’t improvise like your favourite guitar players or your awesome friend who plays in a band. You may have been playing for years and acquired a lot of information and “stuff”, but you don’t know how to use it, and it’s extremely frustrating! It takes a certain kind of person to be able to teach themselves how to become the guitar player they really want. It takes real dedication and a high tolerance for frustration. Is it worth all that time and investment? Sure! But there’s a much better method than the self-taught approach that will save you years of time, money and frustration! I can relate to feeling frustrated at the level of progress you are making. I experienced this in the early years of my guitar playing where I longed to be an awesome self-taught guitarist. All I did was overload myself with information in a totally unstructured manner, which led to a very basic knowledge of music theory and lead guitar playing. I had to seek help and get some proper tuition instead to release me from these frustrations. What I try to be now is the guy that I wish was there for me. I’m there for my students as a coach, a guide and a mentor. I want to give them the very best electric guitar lessons in the Larne area. I hold them by the hand and help them achieve their musical goals. I expect them to actually achieve them because I see this every week in my lessons. These are people just like you. Maybe you have had lessons in the past that were unsatisfactory. Maybe you have been looking up endless free guitar lessons on the Internet. Do you jump from one subject and one source of information to another every single week, without any kind of plan or structure on how to achieve your musical goals? Maybe you have a catalogue of instructional DVDs and books that don’t seem to help you get the results you want as well. This is very common! The best doctors and lawyers don’t teach themselves, so why would teaching yourself how to play the guitar be a good solution? The answer is that of course it’s not! You need one source of information that has a proven record of getting guitar players results fast. Instead of sitting in the stale environment of your bedroom or living room, I want you to join a vibrant learning environment, get inspired and get motivated to truly reach the goals you want and deserve today. This is what I will do for you. I do this every single week at Larne Guitar School with people just like you. Let me show you how to use the information that you have gained over the years and improve your ability to use it without cramming your head with loads of other new stuff! I know exactly how to do this. 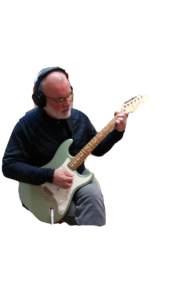 Let me show you how easy it is to start improvising really cool lead guitar licks and playing like a pro. It’s not hard when you are presented the information in the right order and then shown how to use it. I can give you the secrets and effective practice strategies to gain some serious speed in your guitar playing too! I have spent many years helping people just like you overcome these problems in their guitar playing. I overcame them in my own playing, so I feel very strongly about showing my students how they can do the same. I will share these solutions with you and in a very short time, you will see massive progress in your playing and a release of the frustration you have felt. I don’t want you to endure this a moment longer. I want to help you today. I started taking guitar lessons with Michael last September. I really enjoy them and I feel that I have grown in confidence and skill. Michael puts you at ease and creates an atmosphere which promotes learning and the lessons are so enjoyable. Attending each week encourages me to practice at home and I am building up a repertoire of songs and skills. Thank you, Michael. There’s a lot of incorrect assumptions out there that people make about playing guitar. They think they need natural talent, they think they could never play fast because it’s some superhuman skill you are born with, they think they need to read music, maybe they think they’re too old or their hands and fingers just don’t have what it takes. I can assure you that none of these objections are legitimate. Whatever you think your limitations are, I can show you that you can overcome them. I see this every week! 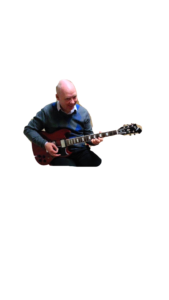 Let me help you now by giving you a FREE session at Larne Guitar School. Let’s get rid of that frustration together and start making a plan on how to reach your musical goals. The best electric guitar lessons in Larne are here right now. PS – Have you booked your FREE session yet? You have absolutely nothing to lose. Don’t keep feeling frustrated. Act today. PPS – Don’t miss out on booking your place today. Places are limited as of 30/04/2019. 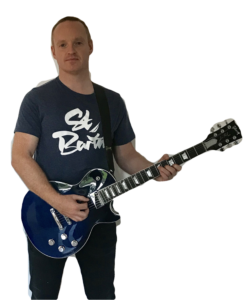 Larne Guitar School serves students looking for guitar lessons in County Antrim from Larne, Carrickfergus, Ballyclare, Ballynure, Ballymena, Newtownabbey, Whitehead, Whiteabbey, Templepatrick, Straid, Monkstown, Magheramorne, Jordanstown, Glengormley, Glenarm, Carnlough, Dunadry, Doagh, Islandmagee, Carnalbanagh, Ballycarry, Antrim and Belfast.